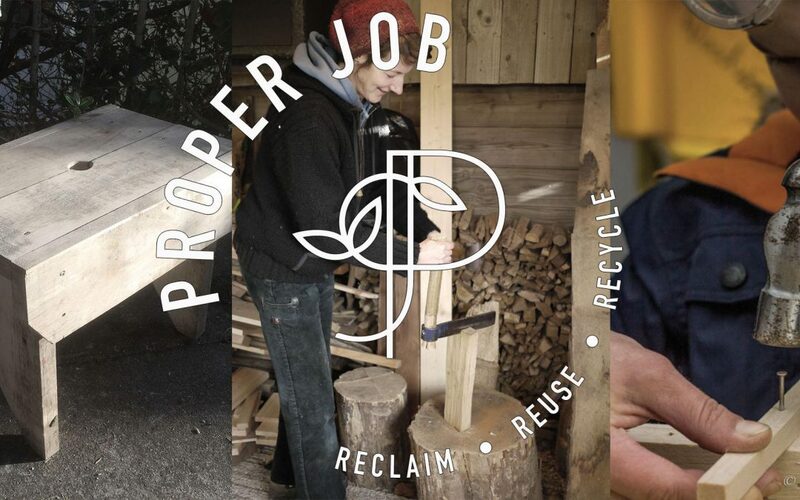 Proper Job and Touch Wood Southwest are collaborating to host a workshop especially for children and parents/ guardians. Learn how to make a simple stool with your child using pallet wood. Gain the ability and knowledge in how to use reclaimed wood and hand tools that are easily and cheaply found second hand. You will learn basic carpentry techniques and tool use including saws, screw drivers, hand drills, hammer and combination square. This work shop aims to encourage you to reduce reuse and recycle. You will use waste pallet wood that is free to get hold of. We will give you the basic knowledge to mend and make things from wood at home and your child will learn about the satisfaction of something hand made versus something shop bought. This workshop is suitable for children from 10 years and up accompanied by a parent or responsible adult. Please only one child per adult. Wear old clothes that you don’t mind getting dirty and sensible shoes with thick soles. The event will be held at the Touch Wood workshop at Pinmoor Farm, in-between Chagford and Moretonhampstead. The ticket price is a nominal fee to attend the event which is sponsored by Proper Job. Part of our charitable objectives is to educate the local community in reducing reusing and recycling.